Is Matthew McConaughey Right For Randall Flagg? When asked about my favorite book, my response is always the same. “The Stand by Stephen King,” I say, with pride. The Stand is my favorite book ever. No question. The Stand’s got it all. A realistic and terrifying apocalypse, complex religious undertones about the struggle between good and evil, a little dash of romance, some really stellar bromances, constant sharp and witty writing, etc., etc.… I could go on and on. The news that we’re getting a four-film Warner Bros adaptation of the book directed by The Fault in Our Stars’ Josh Boone is news that I have been cautiously optimistic about from the first report, but now that Matthew McConaughey’s name has entered the conversation, I admit to being completely invested. Several news sources report that McConaughey is very, very close to signing on for the role of The Stand’s major villain, Randall Flagg. If you’ve read The Stand then you don’t need me to tell you how monumental Flagg is as a character. In many ways, he is the focus of the book, the ultimate antagonist. Flagg is essentially a representation of all things evil in the world. If you haven’t read the book or perhaps just need a little refresher about this character, I’m here to help. So is this McConaughey? Is he right for the role? It’s impossible to say for sure, and even if McConaughey gives a flawless performance, there will still be people who would prefer someone else. But I’m going to argue that this is McConaughey. He fits the description almost as if the part were written just for him. 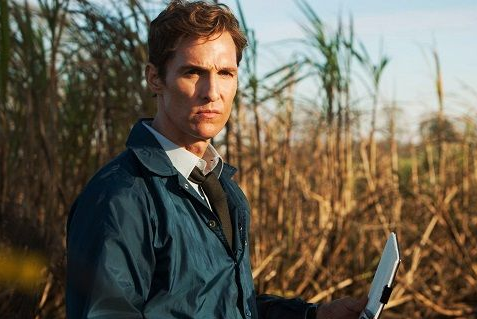 Hell, an argument could be made that McConaughey already played a role a little similar to this one in True Detective. 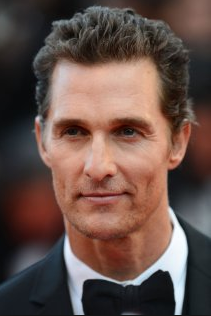 Perhaps the only person who could give a definite yes or no regarding the accuracy of McConaughey’s casting is the author himself, Stephen King. 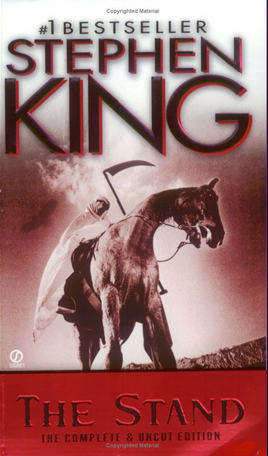 King hasn’t directly commented about McConaughey as Flagg (yet), but he did directly address the possibility of a film adaptation in a preface to the expanded version of The Stand in 1989. King goes on to offer his own suggestions as to which actor might best play Flagg. I’m going to go ahead and disregard that weird Bruce Springsteen stuff and look at what King said about Flagg. Keep in mind that King wrote this preface in 1989. The actors he’s mentioned are arguably too old to play Flagg now, and obviously King wouldn’t have even thought to mention McConaughey at the time. The actors King did mention aren’t necessarily McConaughey types, but they aren’t drastically different from McConaughey either. Unfortunately, until King makes a current statement about the casting, there still isn’t much to work with here. I guess the bottom line is that we’ll just have to wait and see. As for me, I’m willing to bet that McConaughey, with his combination of swaggering Southern style and charm, his darkly brooding features, and his indisputable talent will prove to be the perfect Randall Flagg. You can quote me on that.